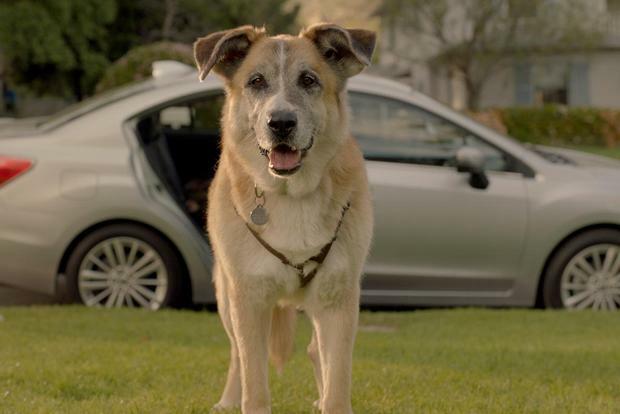 Autotrader is honoring National Dog Day—celebrated August 26—for the third consecutive year with “pawsome” insights on dogs and cars, as well as expert recommendations for Fido-friendly auto accessories and vehicles. Autotrader recently conducted a survey to understand the relationship between pooches and cars and found that 77 percent of dog owners say their dogs enjoy car rides. That’s a good thing, as over half take their canine companions on car trips at least once a week. With so many people bringing their dogs along for the ride, it is understandable that these furry friends factor into car shopping. Sixty-six percent of dog owners think about their dog’s needs at least a little when shopping for a car. In fact, a quarter of dog owners have changed the body style of their car because they got a dog. Dog owners say that either large SUVs or crossovers are best for traveling with their pup, and their other top vehicle body style picks all provide extra utility and ease of access. Easy-clean fabric, all-weather floor mats and pet-friendly seat belts or restraints are the most popular pet-friendly features dog owners say they want in their next car. For shoppers who want to make their current vehicles more dog-friendly, Autotrader recommends these eight accessories. While 87 percent of dog owners have not taken their dog on a test drive, 45 percent of those would consider doing so. In fact, four out of five dog owners say they would be more likely to do business with a dealership if it offered pet-friendly amenities or features such as allowing dogs on test drives, offering the dog a toy or treat or supporting animal causes. According to the experts at Autotrader, there are many great vehicle choices across multiple segments for you and your most loyal companion to get around town. If you’re a dog lover hunting for your next ride, start your search with the editorial team’s picks for Five Great Cars for Dog Lovers.